Approximately 87% of UK consumers have bought at least one product online in the last 12 months. E-commerce is one of two website types used for businesses, the other being a brochure website. Whether yours is a well-established brand, or a company just entering the online sales world, the implementation of an E-Commerce SEO strategy is increasingly becoming an essential aspect of any successful business. Our E-Commerce SEO Service is largely concerned with making your product and services stand out amongst your many competitors. At Paramount Digital our experienced SEO specialists will endeavor to improve your website and attract more customers – with the ultimate aim of converting that increased traffic into sales. With the experience of working with a variety of established and new businesses, our team and their E-Commerce SEO skillset gives you the best opportunity to increase the value of your business. Higher Rankings on Search Engines for specific terminology relevant to your business. More relevant customers, in a higher volume exposed to the products and services you provide. Any underlying technical issues within your website to be eradicated, ensuring your customers encounter no obstacles when intending on making a purchase. Paramount Digital will do this by ensuring your customers have the most user-friendly experience possible when visiting your site. Produce original and engaging product and service descriptions for your online shop, to ensure the increased traffic heading to your website is converted into E-Commerce sales. An eCommerce SEO specialist will review your website from a technical view point, discovering the current problems within the architecture of your website so they can enlighten the business owners of the potential avenues for improvement. SEO for eCommerce websites is more complex than that for simpler information, E-Commerce sites usually carry thousands of pages with unique URL’s meaning there are lots of technical factors that can affect SEO. Your dedicated SEO consultant will identify the same problems Google recognises and amend them to ensure that your website can be seen, indexed and has a fair chance to rank as highly as possible. Common problems within E-Commerce websites is that they often carry duplicate content, hindering your business’s reputation with Google. SEO for E-Commerce websites is only effective if the proper content marketing is implemented on your site. Our E-Commerce optimisation specialists work alongside qualified journalists that will produce quality, engaging content for your E-Commerce website. Many websites often overlook the importance of quality content writing and over-optimisation is now commonplace in the industry. That’s why we employ qualified journalists to ensure the content on your website is to the highest of standards. Our E-Commerce SEO consultants will research the current market of your service or product, identify keywords in your particular field of interest, and ensure the correct strategies are implemented to maintain long-term rankings. Google and similar search engines identify how credible your website is by recognising the quality of the links coming into and out of your website. Our E-Commerce SEO experts will monitor all links as well as finding potential citations to increase the credibility of your site. Social Media is increasingly becoming a crucial aspect of SEO and the Paramount Digital consultants are aware that this is a very real way of getting your products and services to your customers. Our E-Commerce experts will promote your website across varying social media platforms. Utilising SEO strategies, your designated E-Commerce consultant will review the content associated with your product and services ensuring the information provided are understood and represented appropriately by search engines. Tools such as focused keywords and the use of calls to action are examples of how Paramount Digital will drive conversions and search rankings. Separating your services and products into categories is an excellent and easy way to improve the usability of your website for E-Commerce customers. Dividing your products into themes allows your visitors to navigate around your website more easily, increasing the chance of sales. The incorporation of category pages can also be recognised by search engines, further increasing the authority of your site in the eyes of said search engines. With the use of heat tracking maps and live recordings of your customers website interaction, we can identify the reasons customers are leaving your website and rectify these issues. This particular element of SEO is often overlooked yet is crucial for E-Commerce websites where repeat sales and upselling is a primary indicator of the success of your business. Optimising E-Commerce sites for search engines requires extensive technical knowledge of SEO and the E-Commerce sites encounter additional complications compared to brochure websites. The strategy implemented will also depend on which CMS system you run your website on. 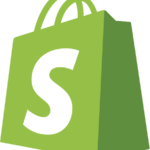 Magento, Shopify, WooCommerce and BigCommerce all require individual processes and we have experience in dealing with them all. Paramount Digital provide an SEO strategy that will give your customers the best experience possible. Following a free consultation with your E-Commerce expert our multidisciplinary team, qualified in varying fields, will work together to ensure your E-Commerce website is the best it can be. At the end of each month, you will receive an easy to understand E-Commerce SEO report to display the areas we have been working on. The report will show you the different tools we have used to improve your site and the resulting: rankings, traffic, and earnings.